There’s something so calming about walking on grass. Genteel even. 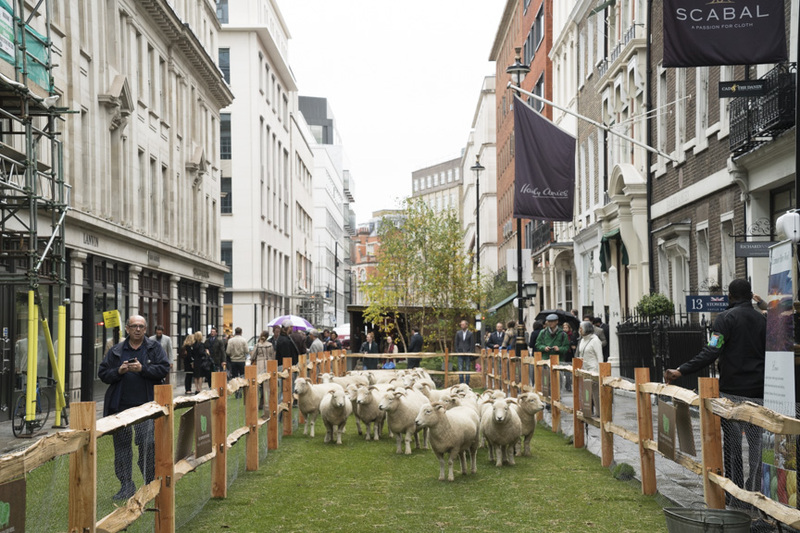 The second ‘Sheep on the Row’ day, which took place on Monday, was a lovely affair. Tailors strolling around on the turf, often with their model (wearing a bespoke creation) nearby for photo opportunities. Shops on both sides stood open, often with staff standing outside watching the parade up and down. Many had invited customers inside, and were offering food and champagne. 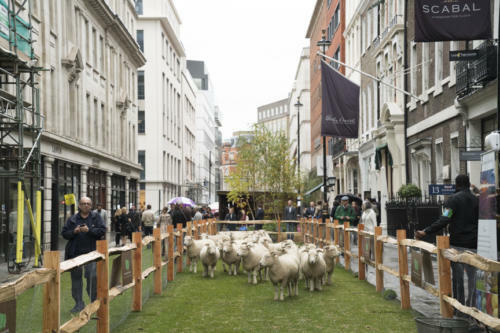 Most wonderfully, two flocks of sheep were calmly parading themselves up and down. All it took was one of them to see something interesting at the other end of the pen, and everyone would follow him. Like sheep, basically. 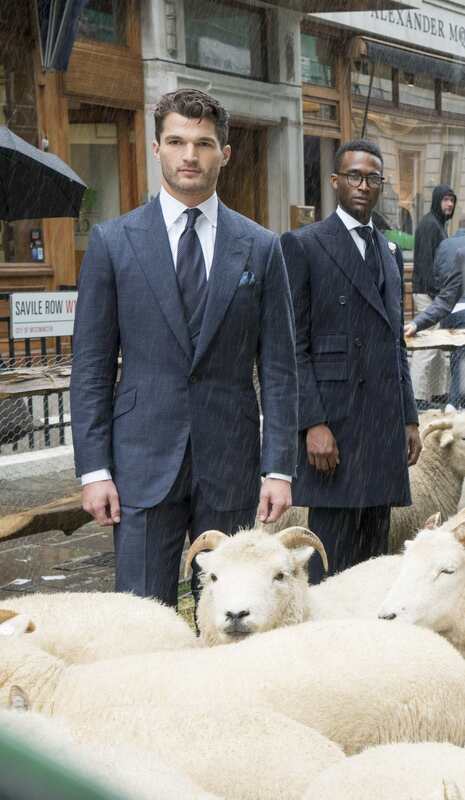 It was raining sporadically, which was unfortunate, but then this is the weather than British tailoring and therefore all wool (Australian merino or not) has to deal with. 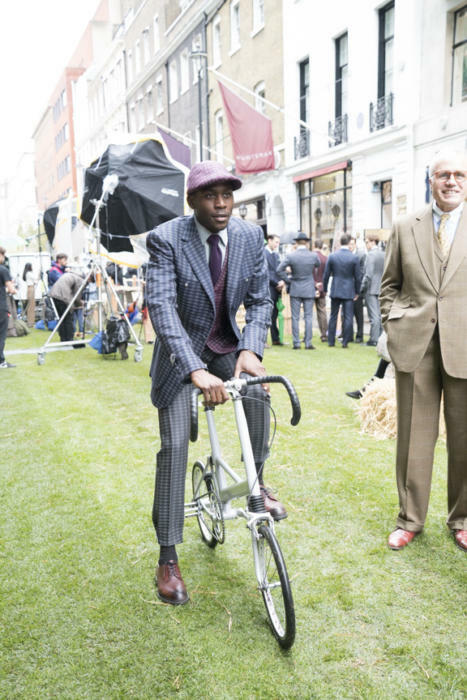 Pictured top: Graham Browne three-piece suit in Zegna checked worsted, and Chittleborough & Morgan top coat in Loro Piana cloth. The event was all in aid of the Campaign for Wool, supported by HRH The Prince of Wales. You can follow the discussion on Sheep on the Row by entering your email address in the box below. You will then receive an email every time a new comment is added. These will also contain a link to a page where you can stop the alerts, and remove all of your related data from the site. Great craftsmanship on display on this equally great occasion! I must confess that I admire this kind collective effort to turn the tide. I love A&S’s peacoat construction. There’s something unusual in its cut. Great to see models wearing the finished garments. 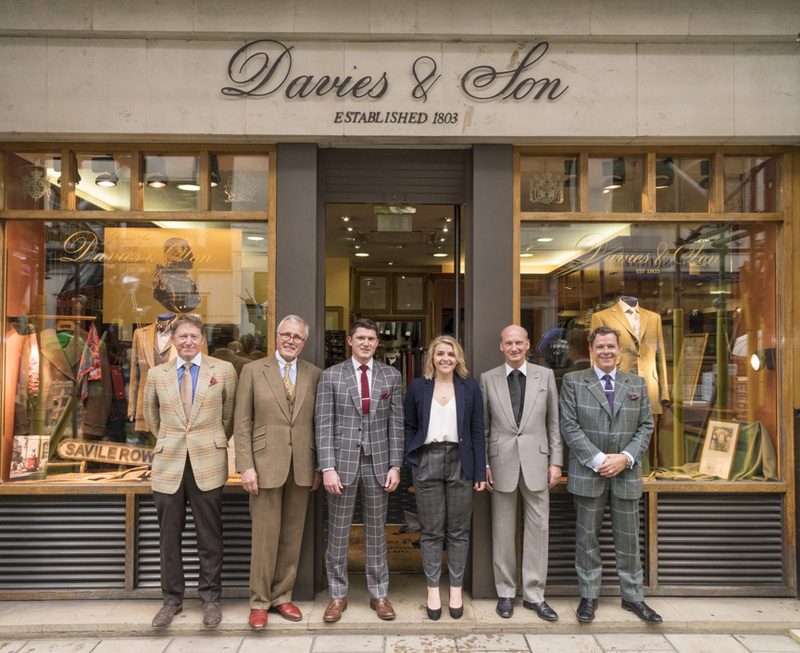 Rare to see that much bespoke in one place! 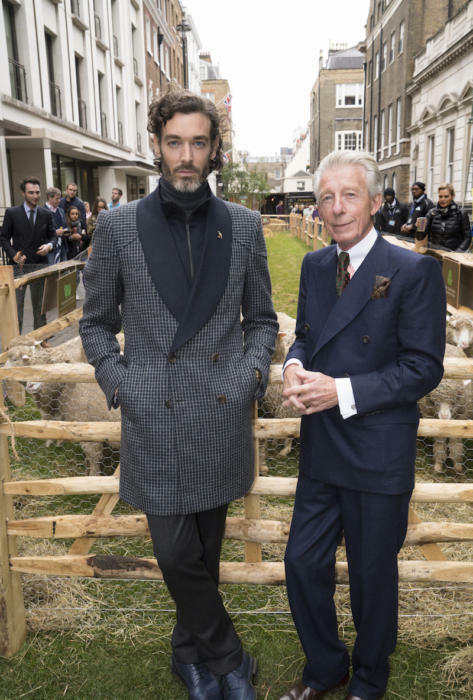 It made it more of a spectacle for the public, as well as emphasising the connection between the sheep and the quality clothes that result from the raw product. I’d love to have seen cloth weaving included but that’s probably impractical. 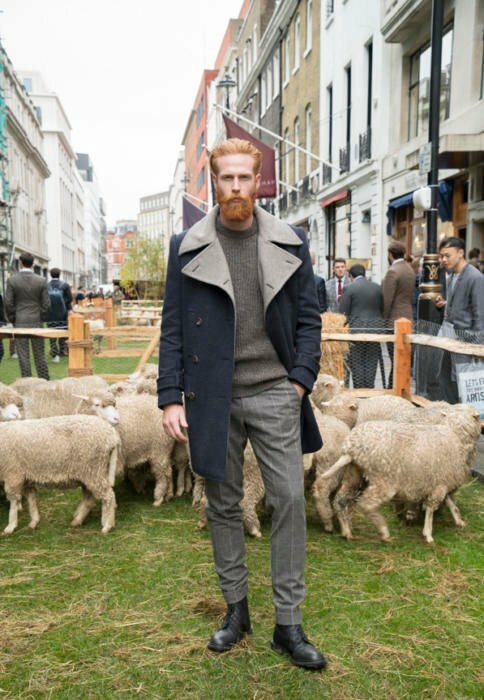 Savile Row looked amazing covered in turf! 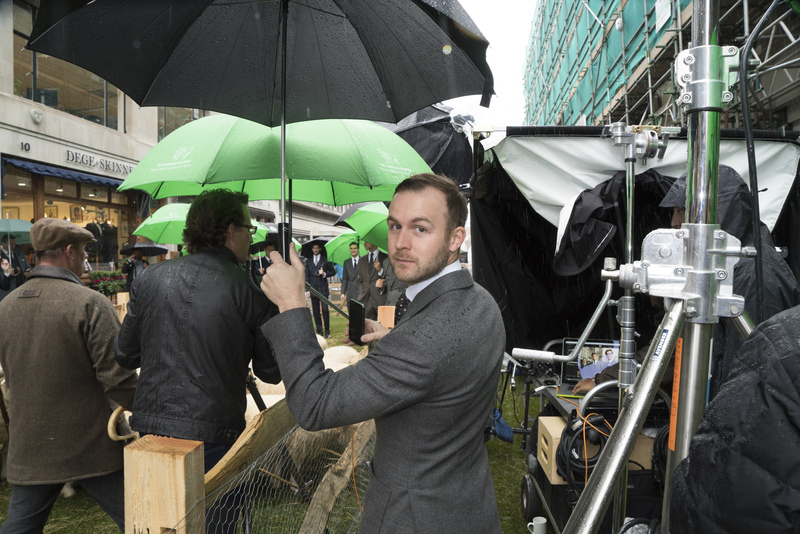 Out of interest Simon, how would bespoke clothes cope with rain? Is it just a case of a decent re-press back to shape after sensible drying? I live in fear of a downpour! Yet again Edward Sexton is the most dapper person there (though A&S’ ivory peacoat comes a close second)! As much as Charles often frustrates me with fatuous ‘let them eat cake’ comments that remind me that he doesn’t have the first clue about the real world – one in which people have jobs, financial pressures and more important things to worry about than the organic status of their biscuits – I’m completely on board with his support of natural fibres. Synthetics have their place, but when I’m shopping for a new peacoat the last thing I want to see on the label is something that resembles a complex list of ingredients. The shocking thing is that whenever I ask family members or acquaintances what their new purchase is made of they always say, ‘I don’t know’. They haven’t even considered it! 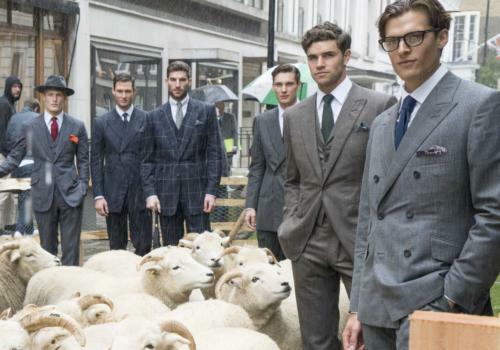 The Campaign For Wool is an important one. I think Keith is harsh in criticising Prince Charles (‘let them eat cake’). The Prince is a lot more sensitive to the people than our politicians. He supports British farmers hugely, he supports our soldiers (with their lack of equipment on active duty) and he has supported British tailoring enormously. I’m very grateful to him. Re Alterations and Valet. Would you still use Crowes for there valet service. I like my collars pressed to perfection. Dear Simon, I ordered your new book early, have not heard back from you yet ( I. Gave you my signature request also) let me know. I haven’t received payment from you yet. You should have received an email requesting payment on the site. Simon, a little off topic, but I recall you writing that in the past you travelled and worked often in the Middle East. Any experience with any stellar alterations people in the UAE? I am thoroughly impressed with the cut of that GB suit at the top. Some may see the arms as a little too short but that maybe the picture and stance. 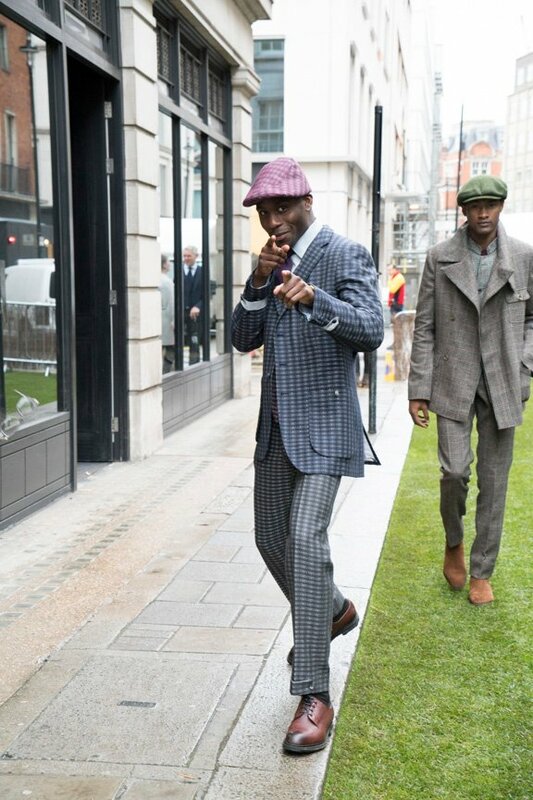 Very modern cut and not what you would always expect from a city tailor. 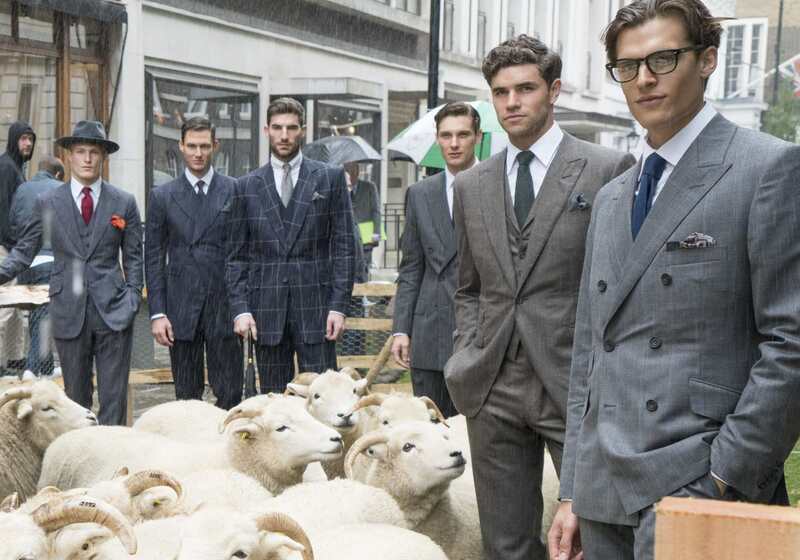 in the photo of the six models stood amongst the sheep, can you tell me who tailored the SB three piece second from right ( the green tie etc)?